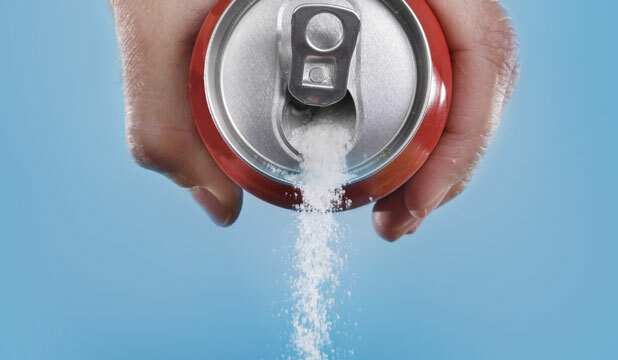 An article recently appeared in The Cape Times newspaper covering The Noakes Foundation’s latest Sugar Barometer concept – you can find the article here. The Foundation wanted to take the opportunity to respond to the article, and shed some more light on our idea that is aimed at facing a very serious problem our country faces: the ever-increasing obesity and diabetes rates. The Foundation share’s Rina Swart’s concerns about whether just sugar taxation will curb obesity, this is what lead us to develop the Sugar Barometer ™ concept – we realized that it is not the cost of sugar that’s the problem, the real issue lies in nutritional education and awareness about the negative impact of sugar on the body. The majority of South African’s are unaware of the hidden sugar contents in food and are still unsure of how to read food labels. We aimed to create a simple and easy way to easily identify sugar levels without having to scrutinize the label. The Foundation specifically targeted sugar and did not include the other nutrients in the barometer because research and science has shown us that sugar is the nutrient that has the most severe negative impact on health and consumption needs to be carefully regulated. 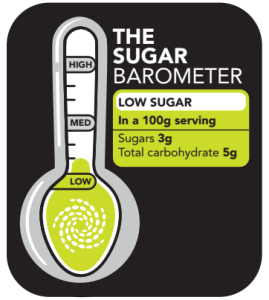 The Noakes Foundation is in the process of putting together a proposal for the Sugar Barometer concept and will approach the Department of Health in due course. We agree that should Government wish to curb the growing burden of health-related risks, more initiatives are needed to operate in conjunction with the sugar tax – the Foundation believes that their Eat Better South Africa! community intervention model, where under-resourced communities are educated about the dangers of excessive sugar and carbohydrate consumption, is one such initiative that can reduce the growing obesity and type two diabetes epidemics. The Sugar Barometer is one strategy to get us closer to creating awareness about hidden sugars and the dangers of overconsumption.